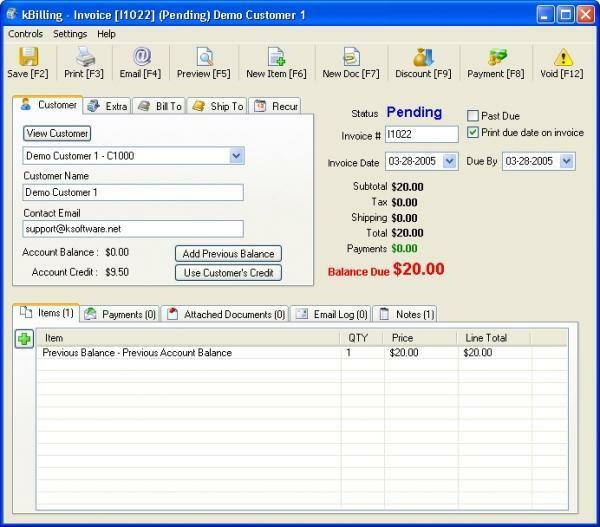 8 Best billing & Accounting softwares: – Billing software can be of great use if you’re running a business or working in a field of profession that requires maintaining finance books and invoices frequently and neatly. Billing software can also track billed products and services subscribed to by customers, so it’s really useful to send invoices to customers using such software as well. Since adding up and making note of bills and invoices via pen and paper can be time consuming and exhausting, not to mention bearing the risk of getting lost, tampered with or damaged, using billing software is a much better option. So many different types of billing software are available for free, which is great for small businesses and for those who do not wish to spend money on a single software- but some of these have paid versions as well for those who can spend some money and upgrade to use optimum services. Choosing the best billing software has to be done in consideration with your personal needs and the services offered by various software in the market. 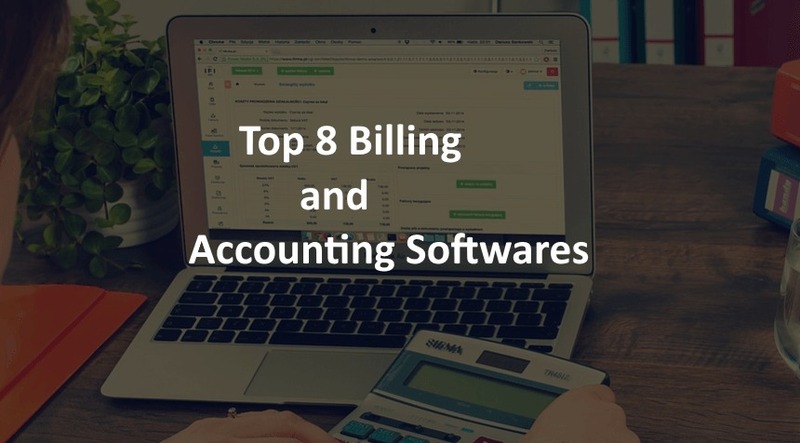 So read on to know which billing and invoicing software have made it to our top 8 list. Invoice Expert offers easy inventory and recording of bills for professional business purposes as well as small retailers. The really cool thing about Invoice Expert is that it offers Custom Invoice Designer, enabling you to create the kind of template you want to send the customer their invoice with. It’s super easy to design your own invoice template this way. The software also offers a wide variety of services such as Customer Management, under which you can view your customers, their purchases; Purchase Orders, Networking options and even a panel to view your vendors. There is also a separate Dashboard in which you can view the rise or fall of your business stats, which is really convenient. User interface is friendly and performance is good. Offering many advanced options to view paid and unpaid bills, print reports, and keep track of customers, this software is very useful indeed. A really cool feature of Express Invoice is that it lets you put a “partial” or “full payment” tag on a bill when the payment has been partially or completely done. That way when you’re browsing quickly through a number of invoices, you won’t have to check repeatedly to see which one has been paid and which has not, you will immediately know seeing the tag. The software runs smoothly on Windows, Mac, Android, Kindle as well as on iPads. A major con of Express Invoice however, is that the promised free version is merely a 14 day trial version, and once that trial is nearing the end, you will have to wrap up your work on it by the last day, because when it ends it won’t give the user a grace period to finish any remaining tasks. The paid full version is fully worth the price, though, so if you try the free version and like it, you might consider buying this one. This software claims to be really user friendly, especially for beginners who have never dabbled in billing software of any sort before. The layout of the software is clean and basic, with neatly demarcated icons to guide the users through the process of billing without any confusion. Users can easily create invoices, purchase orders, and receive well detailed sales and tax reports whenever the user wants. If the user wants to stamp invoices with the status of the invoice, like one can with Express Invoice, that can easily be done, but more options are offered such as marking the document Urgent, Revised etc. You can even add your signature to each invoice to add authenticity and authority to the bills you send your customers. However, a disadvantage of this software is that the free version won’t allow more than 30 documents to be created- so the free version is only suitable for small businesses that can do with this quota. Otherwise, one can always pay for optimum services if one is keen. Some users have complained that despite the claims of Easy Billing, the interface is actually tough to navigate, and the Help file displayed so proudly does not give any guidance in using the software at all. This could make the otherwise useful software quite boggling for new users. This software gets a thumbs up for offering uniquely different services. 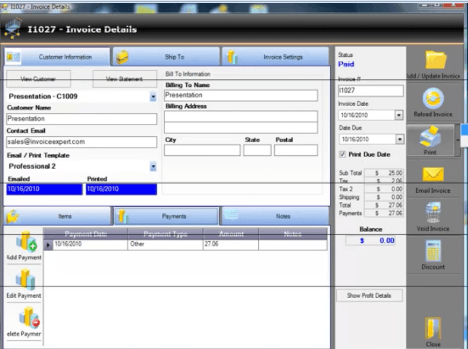 It is not a conventional billing software- in the sense, it is not essentially for business owners or retailers. 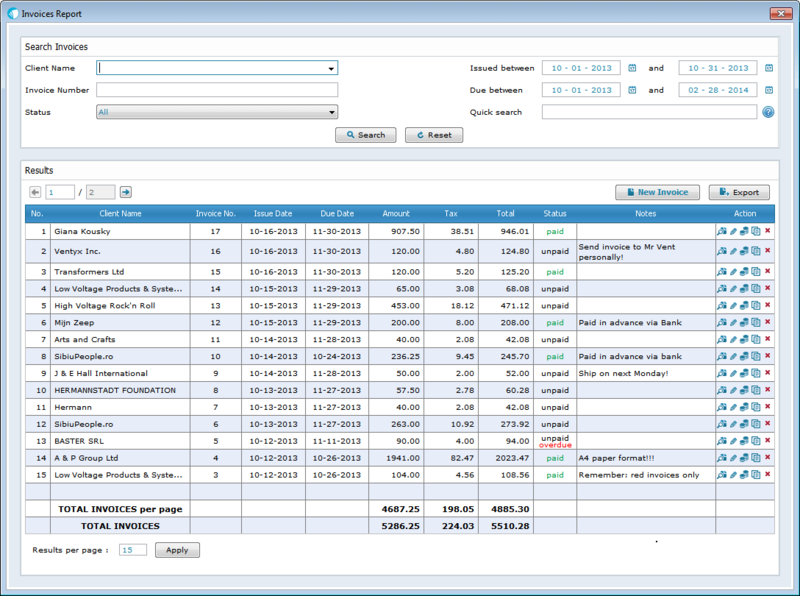 Expenses Manager is a software catering primarily to the calculation and bookkeeping of home expenses and income. It is a personal finance manager, but a billing software all the same; as it helps you put together your periodical income and your expenses, and gives you a detailed analysis of your finances. The interface is neat, though navigation is a slight issue. Expenses Manager helps you keep track of your expenses and inventories each of them. You can even set a monthly limit to the expenditure you make, and easily export the spreadsheets of these via e-mail to others. This software is becoming increasingly popular because most of the billing software out there caters to business owners and aren’t personal account keepers at all. KBilling comes with a 30 day trial period as well as a full version you have to pay a few for. Since the 14 day period offered by software such as Express Invoice can seem quite measly- it can be difficult to gauge the true utility and worth of particular software in such a short time- the month’s worth of trial offered by KBilling is, according to users, quite the pleasant experience. Moreover, should you go on to purchase KBilling, you are offered a 30 day return option, wherein your copy of KBilling can be returned within 30 days of purchase without any questions asked, for a full refund. A good return policy always encourages customers to invest in the product offered. KBilling also offers some really nice features where you can manage billing subscriptions, protect specific files and invoices with passwords, print invoices and email them easily. You can even send newsletters to your customers using KBilling. 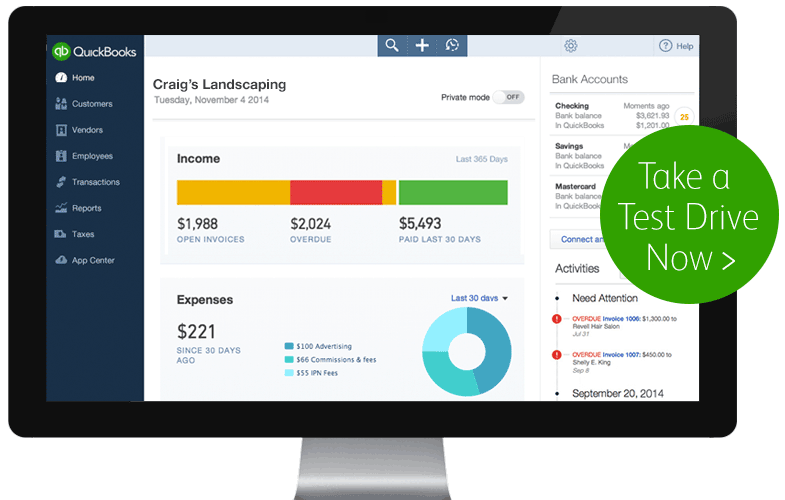 An application offering a 30 day free trial and myriad options to facilitate the maintenance of bills and transfer of invoices, QuickBooks is just as popular as its counterpart FreshBooks, if not more popular than the latter. QuickBooks offers the “Pay now” link to be sent to your customers with the invoices, ensuring that you receive your payment swiftly. Users are allowed to deal in different currencies, keep a close eye on their accounts and business, take pictures of invoice and bills, and are also enabled to receive reports of profit and of loss from time to time. Users can check which bills have been paid and which are overdue. If you choose to purchase the software after the trial, you surely won’t regret granting permission to it because of the truly awesome services offered. The software will tell you when it can, the shipping address of customers, give you customer info when they are calling, and maintain voice records. There are a lot of minor glitches in QuickBooks though, and the user interface can get a little complicated for new users. However, the QuickBooks developers are responsive to customer complaints and are working on making the software friendlier to small business owners. Catering specifically to those who run small businesses, Simple Planning is user friendly and to the point in the services it offers. 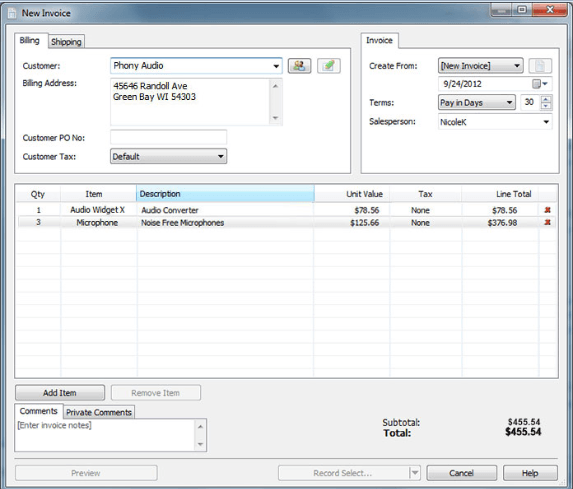 It offers an Excel base as layout for creating invoice, and performs efficiently. The accounting facilities offered are simple and basic but essential to any business. Setting up finances and keeping a check on expenditures is very easy owing to the intuitive functioning of this software. However, those who have used and loved QuickBooks and the way it works, will not be likely to enjoy Simple Planning, as many of the users who have tried both of these software think that QuickBooks is easier to understand. Simple Planning’s developers are more sympathetic to customer woes though, and are prompt in resolving customer issues. Customer support is a great reason for the increasing popularity of Simple Planning, a basic utilitarian but cost effective billing software. Available in two versions, Free and Premium, Sleek is one of the top billing software available on the internet today. Email and print features offered by Sleek are its advantages over other billing software that provide as simple a UI and as speedy functioning as Sleek. Sleek provides an excellent product database and facilitates multi user login access. 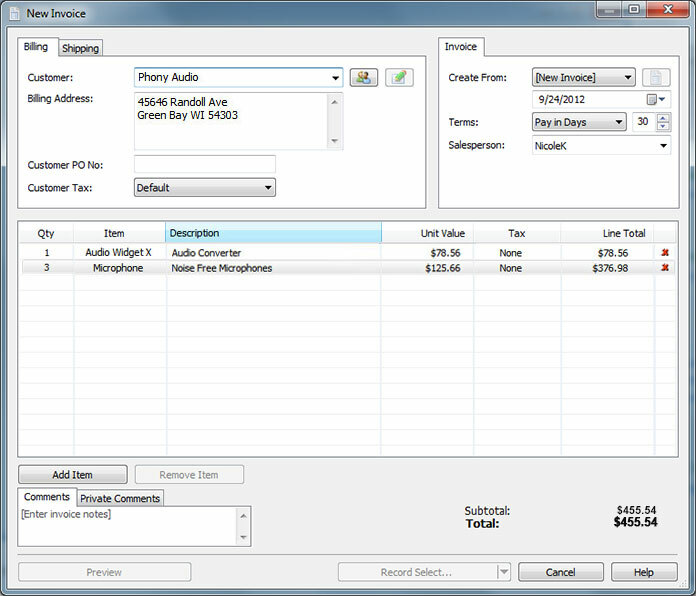 It not only helps you keep a record of bills and invoices, it lets you design your invoice template and manage taxes. The tax creation tool comes with service tax and CESS support. Users can also use Sleek to provide detailed estimates of products to customers, and if the customer is satisfied and wants to buy the product, Sleek can turn the estimate into an actual invoice without wastage of time and effort. Sleek offers full customization to the user and this provides a great user experience for even beginners. Several users have complained of the small font being a major irritation, and of glitches in payment tracking, but overall, Sleek remains an effective billing software that saves its users a lot of time and money.